TGM Associates bought the Broadstone Harbor Beach apartment complex in Fort Lauderdale for $136 million, marking South Florida’s largest multifamily deal so far this year. The New York-based real estate firm purchased the 394-unit waterfront building at 1721 17th Street for $345,177 per unit, records show. TGM bought the property from Alliance Residential and Invesco Real Estate. 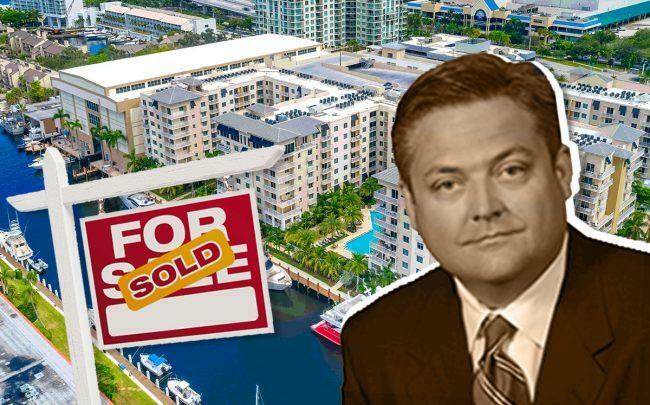 The deal shows the strength of Fort Lauderdale’s Class A multifamily market. While lenders and industry analysts remain concerned about the supply of luxury apartments delivered in Miami, investors appear to remain bullish on new multifamily development in Fort Lauderdale. Cushman & Wakefield’s Robert Given, Zachary Sackley, Troy Ballard and Neal Victor were the listing agents. The 359,000-square-foot property was first listed in September 2018. At the time, Given said the property could sell for $160 million to $170 million. Each unit averages 912 square feet, with rents ranging between $2,000 to $3,000 a month. They include studios, one-bedrooms and two-bedrooms. Amenities include a fitness center, boxing and yoga studio, movie theater, pool with cabanas, dog park and massage room. Property records show Alliance Residential and Invesco Real Estate developed the project on the 3.8-acre site. The partnership paid $22.1 million for the property, just off the 17th Street Causeway, in 2015. The site used to house Ocean World, a marine park that closed in 1994 after nearly 30 years of operation. The property is next to the Broward Convention Center, which is in the midst of a $900 million renovation and expansion that includes adding an 800-room hotel and another 350,000 square feet of meeting space. TGM owns seven other apartment complexes in Florida, including the TGM Oceana in Boca Raton. The company has acquired 132 multifamily properties worth more than $2.7 billion in 28 states. according to its website. It is led by John Gochberg, Michael Frazzetta, Zachary Goldman and Steven Macy, who cofounded the firm along with Thomas Gochberg in 1991.